So, when I packed the camera bag for vacation, I grabbed an old polarizing filter. By old, I mean “linear”. But it’s also 30+ years old. (Does that make it old old? Anyway, what’s the big deal about a linear polarizing filter? Well, linear filters were just fine back in the days when autofocus cameras were a fantasy and Kodachrome ruled. You rotated the filter to get your desired effect, pressed the shutter release, and went on about your business. These days, with autofocus cameras, one needs to think and buy a circular polarizing filters Why? Your contemporary autofocus – autoexposure camera’s meter likes circular polarizers. It’s all about physics, and I’m not a physicist, so I’m not even going to try to explain it here. However, Bob Atkins does a pretty good job of explaining things, so if my word isn’t good enough, you can click here and read his article about linear and circular polarizing filters. So why am I talking about this and why are you reading this? Well, there’s one other problem that you can have besides the meter producing bad exposures, and I encountered it. If this image looks fuzzy, it’s not you. On the other hand, if this image looks in focus, it’s you! Please visit your eye care professional immediately. A linear polarizer can confuse a multi-point autofocus system, and this is proof positive of that. I was shooting using the linear polarizing filter to remove glare on the water without a problem, perhaps because the sun was behind me. However, I found my camera not focusing on two subjects the next day in situations where the sun was at a 60-90 degree angle to me. Being totally relaxed on vacation, I didn’t think about the filter being the problem. Instead, I was annoyed / mad / worried thinking my lens had decided to break. I tuned the camera off, removed the lens, put the lens back on, turned the camera on, and same problem….! After repeating that twice (which usually resets everything), I’d given up on the lens for the rest of the trip. The Frog was not laughing. I took the filter off. I turned the camera on. It focused. If you’re interested in learning more about what a polarizing filter can do for you, click here and here to visit two prior posts on the subject. Don’t forget to visit your local camera store when you go to get your polarizing filter! If you haven’t figured it out, the Frog doesn’t take a lot of people pictures. But that doesn’t mean you shouldn’t! Personally, I’ve always has an aversion to being in front of the camera. I’m much happier behind the camera. On the other end of the spectrum, there are hams, photo bombers, and those who simply love having their picture taken. But there are life moments we all want to capture, be they children as they grow up, pets, a family event, a party, or just a simple moment in time. If you’re the photographer however, that moment for you can be like herding cats, seeking a blood donation from a rock, or anywhere in between. Here are some tips on capturing natural expressions from the Write You On My Heart blog. Although the main topic of the post is capturing the natural expressions of children, there are a lot of us out there who have never grown up, or at least we like to think that we haven’t! The suggestions are perhaps a fresh look at photographing anyone, and well worth a few minutes of your time. Tip #2 is along the lines of how I’ve photographed weddings – I hate lining people up for a shot, posing them, getting everyone to look at the camera at the same time, put their drinks down, etc., etc., etc. I prefer to avoid the use of a flash whenever possible, and I like to shoot weddings with two “atypical” lenses. A short, fast zoom (70-200 f2.8, 70-210 f2.8, etc.) so I can catch people enjoying themselves from a distance – most of the time without their knowing their having picture taken. I also like to “reach into” a scene, using the bodies and body parts of those in the foreground to frame the scene and capture natural expressions. It adds to the “being there” feel of an image. A fast wide angle (28mm f2.8, etc.) that allows you to be a part of a group on the dance floor or around the table – it gets you in there like you’re a part of the scene instead of being an outsider with a camera looking in. Take a look at Write You On My Heart and my comments, and gather (or at least consider) a different perspective on how you make your memories. Shoot well, and shoot often! A long time ago in the blog, and far, far away… we talked a bit about polarizing filters and the technical details of how they work. Well, it might have only been a few months, but that sounded like a good opening! Anyway, we talked about polarizing filters and how they can help with glare, but we didn’t show you anything about them in the blog. The least we could have done was to have shown you how they work right here in the blog! We’re going to fix that transgression compliments of back lighting and a koi pond. Impressive, isn’t it? If you’ve never seen this demonstration before, you might say it’s amazing. The technical details are found here. I don’t claim to fully understand everything about the physics behind a polarizing filter – I just know that they work, and can help you get an image you couldn’t otherwise get. If you can get your hands on one, they’re a great addition to your camera bag. Well, if scanning prints is something you want to do, or need to do, there’s a bright side to it all. You only have one choice for equipment, and that is a flatbed document scanner. 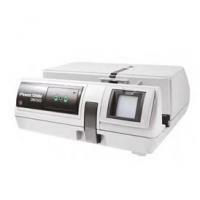 Flatbed scanners come in a wide range of prices from a variety of manufacturers. Many come with some sort of photo editing software. Some are tailored towards folks like you, and have one-button shortcuts for scanning prints. Others offer software that will help restore old faded prints in one step. You can get good results for around $100 or so. Prices go up from there to a top of the line Epson that will set you back around $750. Consider your objective before you set out to buy your scanner. A scanner can always do, less that its’ ultimate capability – but it can never do more. If all you want to do is scan the family snapshots for viewing on your phone or computer, or to post on Facebook, you don’t need to spend a fortune. If you’re looking to be able to reproduce a print that’s in focus and well exposed, you don’t need to spend a fortune, either. If your originals aren’t in focus, no scanner is going to be able to fix that. If your original prints are underexposed (dark, muddy), a scanner might be able to help – but don’t get your hopes up. The same goes for prints that are overexposed (washed out). In either case, your best bet is to work from the original slide or negative if you have it. And, at that point, the $99 scanner is probably not your best choice. If you’re wanting to take that 4×6 inch print, scan it, and create a great 20×30 inch print to cover that empty space on your wall – it’s not going to happen. The only way that’s going to happen in an acceptable manner is if you’ve got the original slide or negative to work from, and a scanner capable of providing output of at least 4800 dpi. Sorry if you were hoping to hear something different. If you’re working from prints that are old, faded, torn, or wrinkled, they can probably be saved. “Saved” might be a great result, and it might not be. All it takes is decent software, a good mouse and mouse pad, and time. And patience. And time. Did I mention patience and time? I spent about 11 hours restoring and repairing a print of my Grandfather on his wedding day. I found it behind two other prints of my Grandparent’ wedding in a frame, and time wasn’t at all kind to it. I used Ulead PhotoImpact software to repair it (the software is now found in Corel’s PaintShop Pro X5 software). If you don’t believe me about having a good mouse – wait until you work on restoring your first print! For the record, my current flatbed scanner is a HP OfficeJet 4630 all-in-one. So, if scanning prints is your primary objective – start at your Local Camera Shop and go from there. Check the reviews on B&H, Adorama and Samy’s. And, enjoy! We’ll wrap the scanning conversation up in one final post soon. Scanning 35mm slides – Part 2. In Part 1, we talked about scanning a lot of slides. Thousands of them. So, what if you don’t have thousands to scan? For one-off scanning 35mm slides, the Frog has a PrimeFilm 7200 from B&H (information at http://www.scanace.com). The PrimeFilm 7200 uses the same software as the Powerslide 5000 – so that was a major factor the purchase of this unit. I’m very happy with this unit – it’s got 7200 dpi resolution and can pull a little more detail out of the dark areas than the Powerslide 5000. It also scans negatives – but that’s another post. Scans using CyberView or Vuescan software can take as little as five (5) minutes if they are run without the noise reduction and cleaning functions – but I’ve come to terms with waiting a little longer for the slide to be scanned and spending a lot less time cleaning up the final product. As much as you clean your slides before scanning, and as much as you think you do – it’s more amazing what shows up at 7200 dpi than what shows up at 5000 dpi! The rest of this post is a review from Part 1. I was going to stop here, but since we’re talking about scanning slides from two different perspectives, I figured I’d leave it be. Consider it a review or reiteration of things to consider. As discussed in Part 1, there are flatbed scanners out there on the market that can scan up to 20 slides at a time, as well as having the capability to scan documents, negatives and photographic prints. Some of these units can produce very high quality scans – and some simply can’t. These units range in price from $100 to $800. The main makers of these scanners are Espon, Canon, and Hewlett-Packard. Check out the reviews at places like Shutterbug magazine, B&H and Adorama for more information on these units. There are also lower resolution units that, for lack of better words, take a picture of your slide and convert it to a jpeg image. They’re not scanners in the traditional sense, but converters. They’re inexpensive and fast to use, and they have their limitations. These units can be had from $50 to $150. If you want to make 20″x30″ prints – think dpi, lots of dpi – 4800 dpi or more. If you’re wanting to make 8″x12″ prints – 2400 dpi can work. Just want to show them on your tablet, laptop, phone or TV? a converter type unit can work for you. There are also slide scanning services that will scan your slides at varying resolutions for varying prices. They’re an option for you if you don’t have the time or don’t want to do it yourself. Don’t forget to consult with your local camera store along the way! As I write this, I’m scanning 35mm slides from 1982. There are a several thousand 35mm slides awaiting their turn. It’s not a fast process – it could be faster, but let’s talk about it since I was asked about it a couple of weeks ago. If you’ve got a few hundred slides to scan, or less, that’s not so bad – we’ll talk about that situation in Part 2. Before launching Laughing Frog Images, I did a lot of research on 35mm slide scanners and slide scanning services. My goal is archival scans – 5000 dpi (dots per inch) or better per scan, and having the original scan in a lossless format such as .dng or .tif. Anything less wouldn’t give you the ability to get the image you want the way you want it. The easy way to get all of my slides converted would have been to send them out to a scanning service, pay them over $1.00 per slide, as well as shipping both ways, tax, etc. 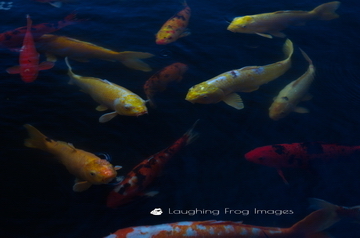 As you know, the Frog is a small, small enterprise – and spending $20,000+ to build the image galleries at Laughing Frog Images just wasn’t going to happen. Granted, it would have been nice, but that wasn’t going to happen. So, it was on to Plan B, and the search for a professional quality scanner capable of batch scanning slides. I ended up purchasing a Pacific Image Powerslide 5000 35 mm slide scanner from B&H (information at http://www.scanace.com). With this unit, I can scan one slide at a time, or trays of 50 or 100 slides. I have to admit that I’m still working out the bugs of using the 100 slide carousel tray, but there’s a tray of 50 being scanned right beside me as I write this. I am scanning Kodachrome(R) slides at 5000 dpi with automatic noise reduction and cleaning being done in the CyberView software – it takes about 11 minutes per scan and produces a tif file of more than 300MB. I’m doing a basic crop and auto-level adjustments using ACDSee Pro 6. And I’m a very happy camper! Scans using CyberView or Vuescan software can take as little as five (5) minutes if they are run without the noise reduction and cleaning functions – but I’ve come to terms with waiting a little longer for the slide to be scanned and spending a lot less time cleaning up the final product. As much as you clean your slides before scanning, and as much as you think you do – it’s amazing what shows up at 5000 dpi! There aren’t a lot of other bulk-scanning options out there right now, and there may never be. It seems like the scanner market may now be what it’s going to be for the foreseeable future. 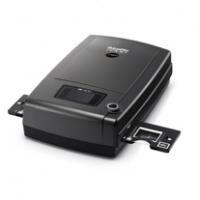 The Powerslide 5000 is a dedicated slide scanner – it won’t scan negatives unless they are in slide mounts, so negatives are possible, but not without some prep work. There are also flatbed scanners out there on the market that can scan up to 20 slides at a time, as well as having the capability to scan documents, negatives and photographic prints. Some of these units can produce very high quality scans – and some simply can’t. These units range in price from $100 to $800. The main makers of these scanners are Espon, Canon, and Hewlett-Packard. Check out the reviews at places like Shutterbug magazine, B&H and Adorama for more information on these units. Don’t forget to visit your local camera store as part of the process! Polarizing filters can do some great things – reduce or eliminate glare, enhance colors, and manage reflections. If you want more on the how and why of a polarizing filter, click here. So, when would you want to have a polarizing filter with you? Taking a bus or train or plane trip where you’ll be shooting through windows. 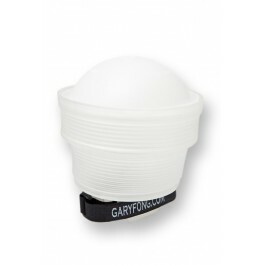 Shooting shiny or glossy objects in bright sunshine or under bright lights. Shooting things on or in the water. Photographing colorful things like fall foliage on a cloudy/hazy day. When you’re going to have to deal with reflections on a glass/clear/glossy surface. When you’re shooting in stark sunlight or mid-day. One thing to remember is that any time you have a filter on your lens, there’s a chance for internal reflections between the surface of the filter and the lens. These reflections can be good – or they can ruin a shot. The photo below shows a polarizing filter used to help bring out the colors on a gray day, and it shows an unintended “star” effect from the filter. In this case, the star effect on the headlight and ditch lights arguably helps make this picture. It wasn’t something I set out to do – but it works in this case. I had to take a breath and a step back, because I wasn’t happy with this as a “train” picture. 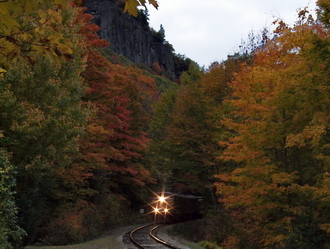 For most people, it seems that this is a fall foliage picture that happens to have a train in it, and the star effect adds to the picture. The law of Unintended Consequences reinforces the fact that we all see different things in the same picture. For more examples of a polarizing filter used to enhance fall colors (that would look great on your wall, or on a mug), check out this gallery on Laughing Frog Images. If you’re interested in getting a polarizing filter for your camera bag, start with your local camera store! Without your patronage, we won’t have them – and we need small businesses like them! Ever wonder how a photographer made an image in which the water flows like smooth liquid? And the image was made during the day? And you’ve tried – but you can’t do the same thing! Well, it’s time to meet your new friend the neutral density filter. What’s a neutral density filter? Well, in really simple terms, it eats light. Well, not really, but what it does is cut down on the amount of light that ultimately gets to your image sensor or film. Or, you can simply just say it eats light. This allows you to increase your shutter speed to get that flowing effect and to increase your depth of field to get more detail in your image. If you want all of the technical info – check out this link to Wikipedia for all the tech stuff. In order to use a neutral density filter, your camera at least needs (1) the ability to mount a filter and (2) a “M” [manual], “A” [aperture] or “S” [shutter speed] setting so you can adjust things. And, there are a couple of other things that you’ll need that are really, really, really, important: (3) a tripod, and (4) a remote control or a remote/cable release. (Nobody is that steady….) If your camera can’t take a remote control or a remote/cable release and it has a self-timer, you’re in business – use the self-timer in place of the remote control or remote/cable release. Does a ND filter work on the Automatic (a.k.a. “idiot-proof”) setting? Honestly, I don’t know, as I’ve never tried that – but I don’t see why it wouldn’t, at least from a process standpoint. I’ve always sought to get the longest possible shutter speed in conjunction with the highest (smallest) aperture I can when using a neutral density filter and used “M” or “S”. If anyone out there has the answer to this question – let us know! If you’re curious, the Frog has the following ND filters: 0.3, 0.6, 0.9 and 1.8 in various sizes. You can stack them to increase the effect, but image quality may be compromised. In general, the fewer things you have on the front of your lens, the better. I tend to limit the number of things on the front of my lens to exactly one (1). If you’re shooting with a DSLR or an advanced hybrid and wanted to get just one – I’d go for a 0.9 at minimum. I have a 62mm variable ND filter for when I’m traveling light with just my 18-270mm Tamron, but I have yet to use it. Some love them, and some hate them. I’ll let you know what I think when I finally get a chance to use mine. 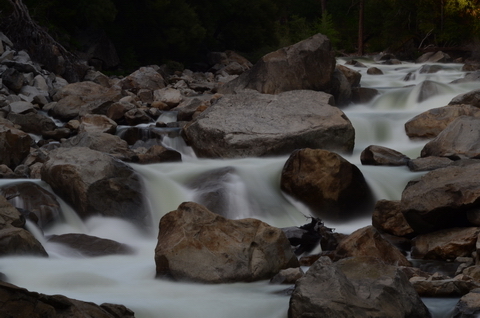 The image below of the Merced River as it flows east out of the Yosemite Valley was taken at 5:45PM. Without the neutral density filter, this would have been impossible. However, with the 1.8 neutral density filter and an ISO of 100, it was possible to take a 10-second exposure at f29 to get the resulting image. (Hint: it looks great as a metal print! Or a print on Fuji Pearl paper!) The camera was a Nikon D5100, and the lens a Sigma 70-200mm f2.8. I had the big tripod along for the trip (the “Mother Pod”) as this is a heavy lens, and used a cable release. These critters aren’t necessarily cheap. If you’re going to get a neutral density filter, get the best one you can afford. While you may not need the most expensive one out there, if there’s a significant price difference – go to your local camera store and/or read the reviews and consider the comments. If the price is too good to be true, it probably is. And… if your filter has a flaw, so will your image. 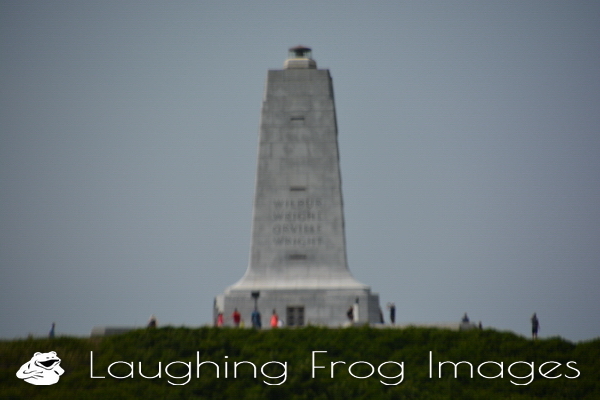 This image can be found in the Laughing Frog Images’ galleries by simply clicking here. It would look great on your wall. Or on your water bottle. Or on your coffee mug. Well, it’d probably look great however you’d like to get it!